The section of path joining the lower and upper paths at Rossmill could become quite slippy in wet weather. 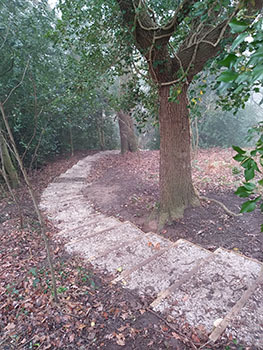 The work to install two flights of steps at the steepest sections has finally been completed. In between the two flights of steps the path has been widened to make it easier to use.